Glioblastoma is the most common malignant brain tumor in adults. So far there have been no effective and targeted therapies. The molecular geneticist Gaetano Gargiulo, however, strives to change this and is currently putting together a junior research group at the Max Delbrück Center for Molecular Medicine (MDC) in Berlin. “Even as a young boy I took apart and put back together again anything and everything that I could get my hands on, in order to understand how things work and what secrets were hidden there,” says Gaetano Gargiulo. And to this day nothing has changed in that regard: his curiosity and persistence concerning the essence of things is what motivates him to tackle, as molecular geneticist involved in cancer research, new challenges every day. “We have to understand how a tumour emerges and what makes a tumour cell tick, in order to find approaches for treatment. And for this reason we have to take a really close look at the core mechanisms of the tumour – its molecular interdependencies,” says the 36-year-old. After his A-level exams, it was clear to Gargiulo that he wanted to study something in the field of natural science. He decided on bio-technology, studied at the University of Naples and received his doctorate in molecular oncology at the European School of Molecular Medicine in Milan. Up to 2009, he was trained at the European Institute of Oncology (Milan) and then went to the Netherland Cancer Institute in Amsterdam. There as a post-doc in the field of Cancer Epigenetics, he came in contact, for the first time, with research on glioblastoma. For this Gargiulo is currently putting together his own Helmholtz junior research group at the Max Delbrück Center for Molecular Medicine (MDC). Together with his team, he intends to examine each individual gene of the glioblastoma and its effects upon the progression of the disease. 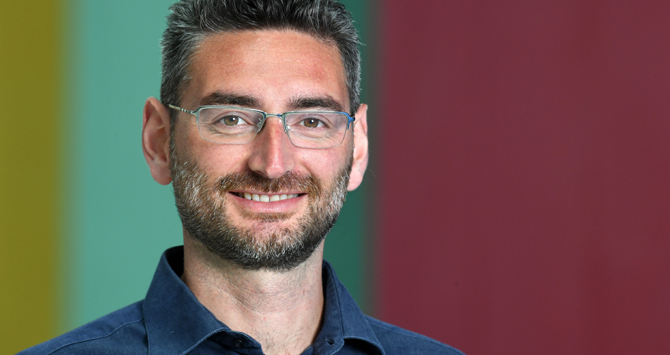 “Ideally this work will reveal specific targets that cancer cells must protect in order to survive, but are dispensable for healthy cells“, says Gargiulo. “Finding such molecular switches would represent a great step toward therapies because they would effectively eliminate tumors without damaging crucial healthy tissues.“ This concept, called "synthetic lethality", has become central for the development of new cancer therapies.